As mentioned, Austin festival Fun Fun Fun Fest is returning to Auditorium Shores from November 8-10. The fest already leaked that The Julie Ruin, Bonobo, Judge, The Walkmen, and Ice-T are playing, and now they’ve leaked six more artists. 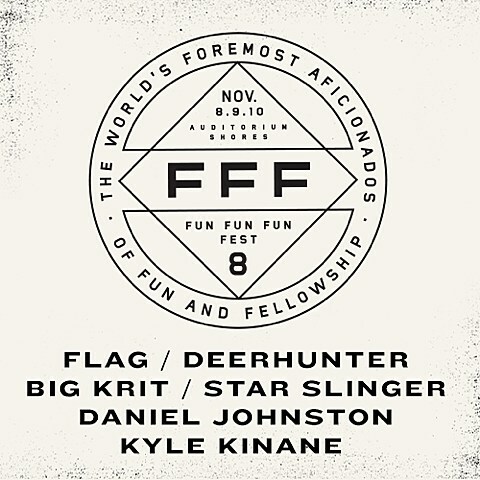 Joining the ones above will be FLAG (one of two Black Flag reunions), Deerhunter, Big K.R.I.T., Star Slinger, Daniel Johnston, and comedian Kyle Kinane. Tickets for FFF Fest go on sale July 9 at 10 AM.